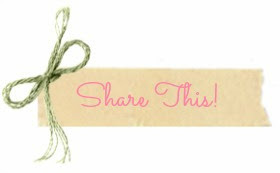 Jenvy Accessories: Talila Design Earring Giveaway! Wednesday means giveaway time! Today I am proud to introduce Talila our wonderful sponsor from Talila Design! Talila is the creator/owner of Talila Design a shop which specializes in Bridal jewelry, either handmade or vintage pieces. Read on and learn about Talila and her wonderful talent/passion and possibly win one of her amazing pieces! 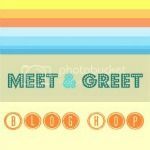 Believe me you will not want to miss out on entering this giveaway! Talila has spent all her life creating, she's a creator at heart. She says, "...I changed products that I have purchased. I was slot in shoes and sewing beads and stones. I used to buy shoes and accessorized them..." She proceeds to tell us how she would also purchase bags and add beads and other applications. "I changed the products completely." Talila learned auto mechanics in high school, and was always looking for something to fix. "I love working with my hands." Talila is a woman of many talents and with much life experience. She was also in the army, where she dreamed of designing bridal jewelry; always waiting for the perfect opportunity to start off with her dream. During her first pregnancy in 2006, she began designing. Talila had recently lost her job and thought it would be possible for her to design and work from home, while also remaining at the side of her baby boy. 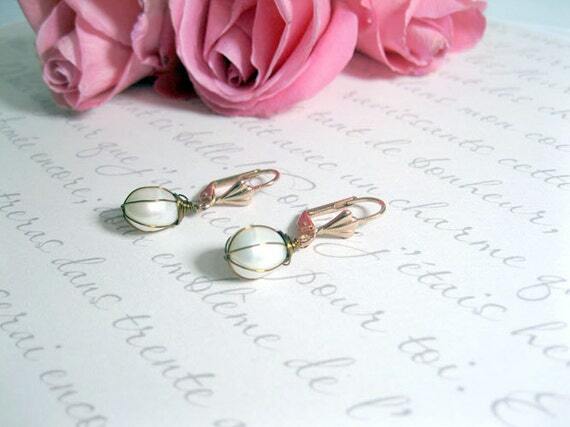 Once she began desinging jewelry she would go to wedding fairs and sold her jewelry. Talila also sold her items through consignment at different stores. Talila also has a few other individual shops through, which she sells many items. Although she is not currently working outside of Etsy (which is honestly a full time + job all in it's own), she says, "Most of my activity is online and I also sell through other marketing channels such as Facebook, Pinterest, Twitter, YouTube and others. Online is the perfect place to get your items noticed not just by locals, but also by many other localities. Living in Israel, Talila wanted to reach a broader audience and wanted to sell to customers outside of her country. 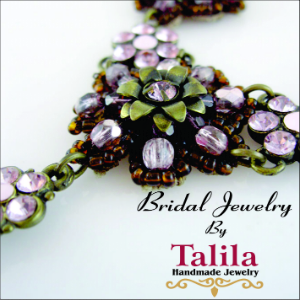 Talila strived to meet other women and help them design jewelry for their big day. When Talila signed up to the Etsy Israel Forum, she met an amazing teacher who taught her the "secrets" of Etsy, from who she also learned her basic course. This led Talila to open up her own shop on Etsy in April of 2010. Her teacher continues to be her business mentor, everything else, well, "I learned through practice and sale," she says. We all know that great talent also has great inspirations, so what is it that inspires Talila? She is inspired, like many of us from everyday life, fashion trends and various cultures from around the world. Her strength comes from motherhood. "...being a mother of two children; I have a 6 year old son with Autism... dealing with his disability occupies my day. He is a happy child, full of love and everyday I push him a little further. And of course, I have a baby girl, 10 month old, that is keeping me busy and fills me with love and inspirations." She also says, "Being an art designer with the ability to fulfill myself in working and doing what I enjoy, to transform it into an integral part of my daily life and to share it with so many people." Talila enjoys making jewlelry and items according to the customers' requests. She also loves to make herself a matching piece of jewelry or belt when she buys new clothes. If there is a demand by customers, she usually will proceed to place the item into her shop. 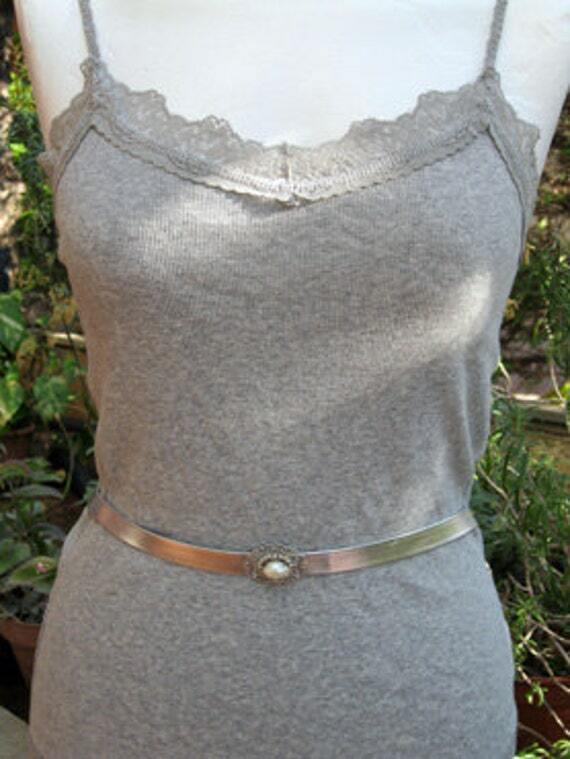 Such a piece is this wonderful belt, which orginally was made for six bridesmaids at the request of the Bride. The belts were designed according to the wedding dress. Talila says, "I was so excited to desing for her. It was very fulfilling and exciting to work with her and to take part of her big day." A little bit of advice from Talila, for those of you just beginning on Etsy: "Get in the shops of colleagues, share resources and promote each other. There are amazing things on Etsy and buying experience is pleasant and comfortable." The furthest place Talila has travelled is Europe, although, she dreams of traveling coast to coast in the U.S. on a motorcycle. She has two pet fishes, one named Gindi and the other named Gandoo. A few years back, Talila, lost a very valuable piece of jewelry, valuable to her in sentimental value. It was a silver plated pocket watch her father gave her with a personal dedication for my wedding day. She says, "For a long time I was upset, until my husband gave me for my birthday a similar one to my father's clock." And finally, her favorite food is chocolate. RULES AND RESTRICTIONS: GIVEAWAY IS OPEN INTERNATIONAL! PLEASE MAKE SURE TO FILL OUT ALL THE MANDATORY (IN BOLD) OPTIONS IN THE RAFFLECOPTER WIDGET, MAKE SURE TO PROVIDE ALL THE NECESSARY INFORMATION. (ALL INFORMATION AND ENTRIES WILL BE VERIFIED) ON THE END OF THE GIVEAWAY (OCTOBER 11TH,2013) A WINNER WILL BE CHOSEN AND CONTACTED. THE WINNER WILL HAVE 48 HOURS TO CLAIM HIS/HER PRIZE, FAILURE TO DO SO WILL RESULT IN A FORFEIT AND ANOTHER WINNER WILL BE CHOSEN. http://www.etsy.com/il-en/listing/120458860/swarovski-crystal-heart-silver-plated?ref=shop_home_active is my absolute favorite!thanks for the lovely giveaway!! 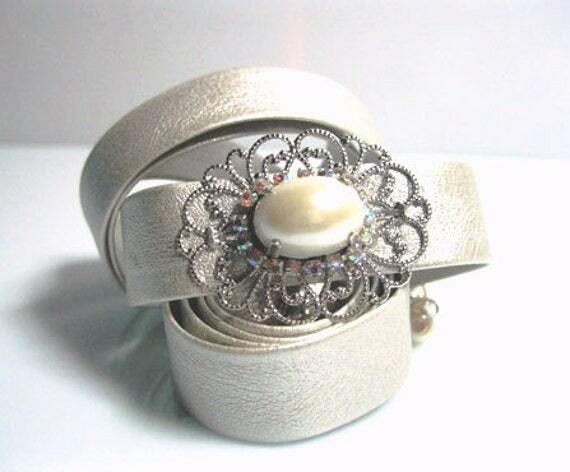 Love so many of your products, but for use in a wedding I would choose the elegant belt that could be worn by all bridesmaids instead of matching gowns. Very chic. 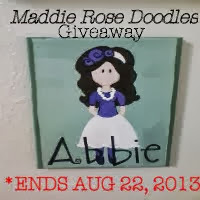 Thank you all for entering! Good luck!